Many designers have an element of their back story that lends itself in some way to how and what they create. Most often this source of inspiration is a family member's creatively adjacent passion: their mother played in a band, their father loved to oil paint. Rarely does a designer come from a direct line of makers. 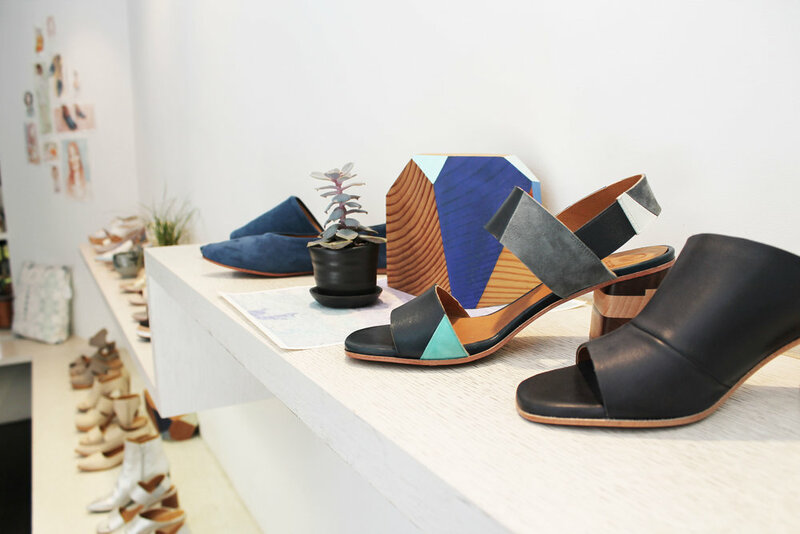 Founder and Owner of Coclico, Sandra Canselier's family game is shoe making, specifically in the French province of Pays de la Loire. While Canselier is a New York transplant, she continues to carry on her family's legacy, albeit with her own flair. My name is Sandra, I’m originally from France but I moved to NYC in my twenties. I started Coclico in 2000 with a small loan and huge bravado. Up to that point I’d had odd jobs and backpacked through various parts of the world. I grew up in the shoe business and knew I had a point-of-view that needed expressing. I’ve been running the company ever since. Did you always know you wanted a career in fashion? I’ve always had the urge to be part of creation. I have a desire to live a life surrounded by beautiful things and to be part of the aesthetic dialog. Shoes are in my blood and it felt very natural to me that I'd use them as the medium to take an active part in our visual culture. I never wanted to work in the fashion industry per se; I struggle to find my comfort zone within an industry that’s rife with contradictions. But I do love that it’s my job to add a little beauty to the world every day. How do you balance your own design aesthetic and maintaining your family's rich tradition? I actually consider myself more of an artisan producer and critic than a designer. In fact, I’m not the designer of Coclico at all; my friend and colleague Lisa Nading has held that role in the company for over a decade. I love her perspective and I have put myself in the role of working to turn her designs into reality. My passion lies in the process of problem-solving the shoe (that’s what I got from my family). My father and grandfather operated a factory so what's really in my blood is the passion for the complexities of making shoes. Design wise Coclico doesn't resemble the things that were made by my family at all, except in the attention to detail. 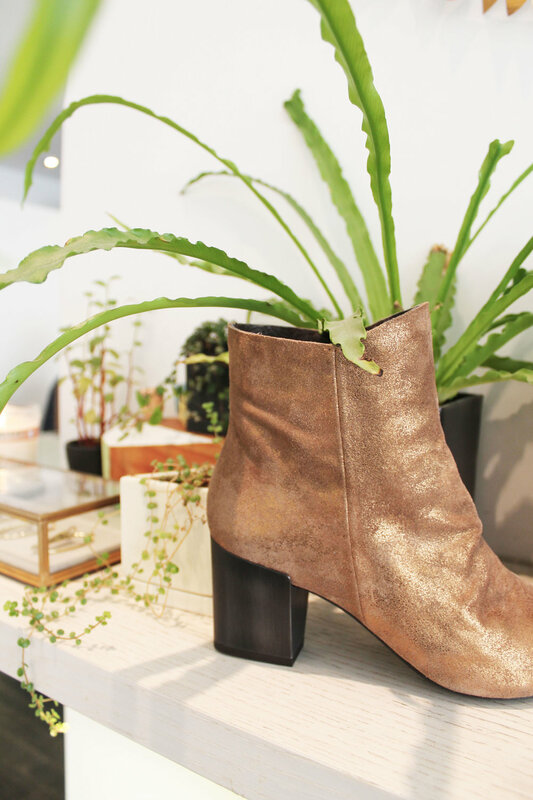 Sustainability is immensely important to Coclico's mission - any advice for brands looking to minimize their carbon footprint and be more environmentally conscious? Straight talk: you have to do it because it matters to you and not for anyone else. I’d advise someone starting out to internalize the knowledge that everything has its value even if you can't put it in the bank. There is no budgeted way to make uncompromised products and to reduce a company’s carbon footprint. You have to simply know in your heart of hearts that the cost is worth it. How does living in New York impact your design process? Coclico is versatile, individual, and functional – all attributes of New York. We are New Yorkers, we wear our product, and we have our store in Nolita so we are on intimate terms with other New Yorkers and their lifestyles. When we are working on a collection we constantly discuss our daily lives and think about the real life scenarios in which we might want to wear the designs. Our days are packed, include varied events, and we walk a lot. We expect a sphinx-like miracle from our personal wardrobes and that’s what we try and deliver with Coclico as well. What's a typical day at Coclico HQ like? I’m not sure there is a typical day in a company as small as Coclico. We are a team of 7, including myself, so everyone is aware that they have to wear about a dozen different hats in a day. We are perpetually in the middle of three seasons, it is often hard to remember what year it even is. Right now, we are developing Spring/Summer ‘18, selling Spring/Summer ‘17 in the store, and have just finished showing Fall/Winter ‘17 at trade shows and to the press. Early mornings are reserved for communication with Spain before their workday comes to an end. After that, one minute you are in a design meeting, the next packing boxes for a wholesale customer, then onto updating the website. In between all that you’ll be helping someone find their perfect pair in the store. And, of course, no day would be complete without a few fires that need putting out. How would you describe your personal style? How does your own taste play into the designs Coclico produces? I’m a uniform woman. I wear a version of the same thing every day, and while I have about half a dozen Coclico shoes in rotation, it’s really just 2 styles in 3 colors each. These days I’m really into the AFRAME oxford. Our muses each have their own uniform so we do a gut check to make sure that when we are introducing a new collection we have each of these archetypes covered. I’m the man-tailored/tomboy archetype. I’m all about flats and booties. How do you define success in this industry? By how happy it makes you and how free you are to have your own voice. Happiness for me comes from having fun with what I’m doing, respecting the people I work with and feeling respected in return, having a good work/life balance and, of course, the financial stability to pay the bills without stress.